It’s a big problem – and that’s meant in every possible way. In the U.S., according to the Association for Pet Obesity 54 percent of dogs and 58 percent of cats are overweight or obese. Now, according to a new data released by the pet health insurer Animal Friends out of the UK, pet weight problems have increased an astounding 900 percent. The study of 9,000 pets found cats are most at risk – with a 1,161 per cent increase in feline cases since 2011. The data also shows cases in dogs have increased by 850 per cent in the same time span. Many call the problem at epidemic proportions. Astoundingly, some pet owners – even with obese animals – believe their pet is at the exact ‘right weight.’ It seems in the U.S. (and likely the U.K. also), our perceptions of what a fit pet looks like has changed. Regardless, the outcome is not a good one. Diabetes in cats is linked directly to weight (though other factors certainly may contribute), and diabetes in cats is at an all time time – also being called an epidemic. The good news is that with appropriate insulin treatment, weight loss, often a change of diet and exercise – many cats can go into diabetic remission. In cats, difficulty self-grooming, and even getting to the litter box, or into the box are problems. Cats who have accidents are prone to be given up to shelters or put out on the street. In dogs and cats arthritis and other joint issues, skin problems and even some types of cancers may be more likely to occur in overweight or obese individuals. And actually – some suggests (and I am among those that agree) that most morbidly obese animals (even if well loved – often loved to death), may be clinically depressed. See your veterinarian twice a year for preventive care visits so that the pet is weighed. In small dogs and cats especially, even a few pounds may be significant, though not always so easy to notice when people live with the animal every day. 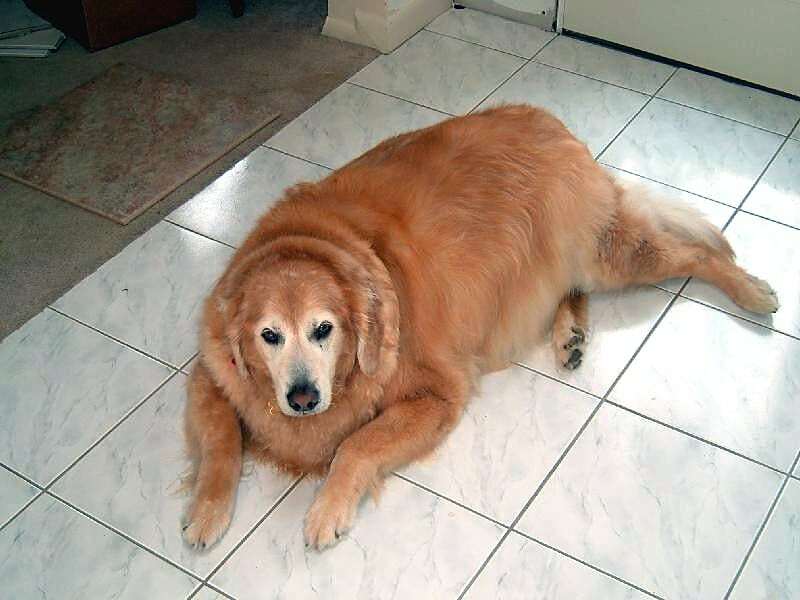 Also, dealing with the problem before it gets to the point that the pet is obese is advantageous. Those who solely blame human food are wrong. However, do keep table treats to a minimum. Even cats should receive daily exercise (through interactive play), and most certainly all dogs, from Affenpinschers to Yorkshire Terriers and everything in between should be receiving appropriate exercise for mental as well as physical health.